I don’t know about you, but I’ve not been able to keep up with all of my own prompts! Of course, some of them are oldies but goodies, and I’ve done them before, but I’m finding that if I respond to even old prompts now that I gain additional insight. So today’s prompt is to review and catch up on the prompts so far —- or at least to pick one that you haven’t been able to do, and to play with that today. Any questions? Comments? I’ve been getting a lot of personal responses from women telling me that the prompts have been very helpful, and that makes me very grateful. This is day 21 of a series of daily prompts for written, visual, or art journalling, or just for pondering. 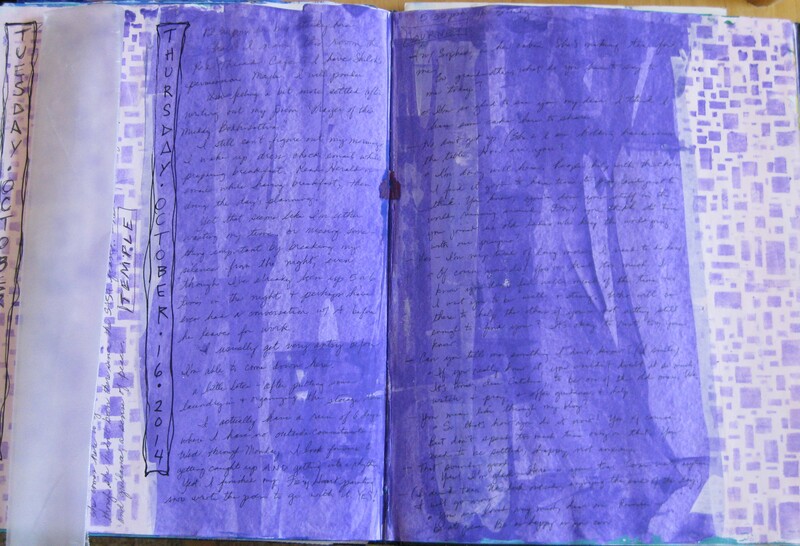 For more background information, see the Intro page https://catcharissage.com/2014/10/29/announcing-sixty-days-of-visual-journalling-prompts/, or this post on visual journalling: https://catcharissage.com/2014/07/12/talking-about-journals/.